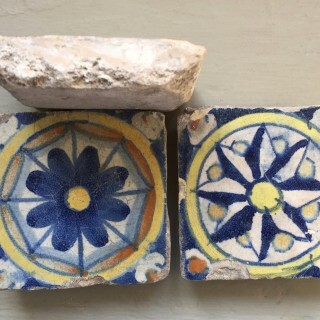 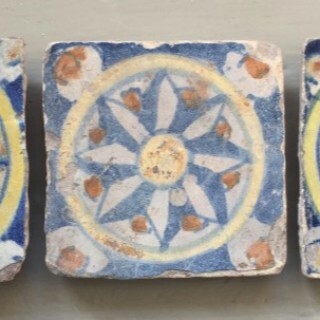 Three Small 18th-century Spanish Earthenware Tiles. 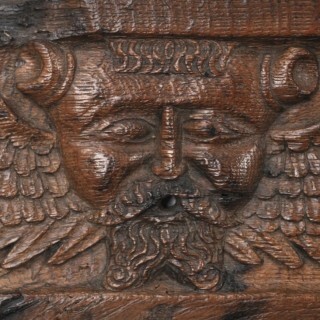 No restoration. 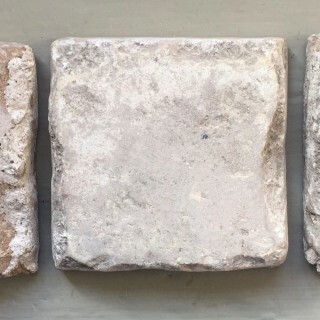 Condition: minor chips and fritting as seen in photographs.